UPDATE: Secretary Of State Clinton! 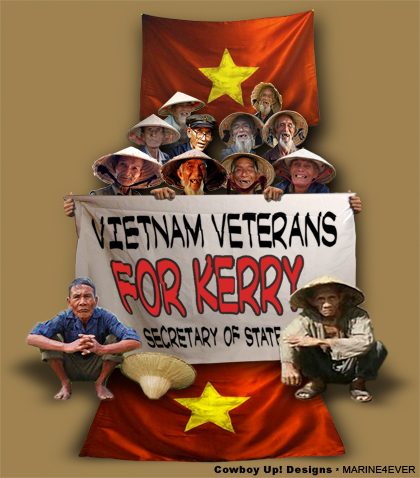 Yes, Virginia, There Really Are Viet Nam Veterans for Kerry. 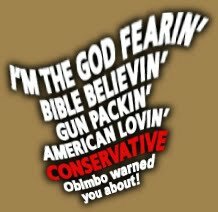 I was about as political as a fence post before 2004. My attitude: you leave me alone and I’ll leave you alone. Simple as that, Jack. Then, John Commie Kerry decided he’d run for President of the United States. That was like getting poked with a cattle prod; it’s been that way ever since. Between John Commie Kerry and Hanoi Jane Fonda, the world couldn’t even use them as a poor excuse for fertilizer. I’ve read the entire pages of garbage that the pantywaist whined about when he ‘testified’ before the Senate Foreign Relations Committee on 22 April 1971. John Commie’s views and mine don’t coincide AT ALL on the war in Viet Nam. Thanks to the hard work of the Swift Boat Veterans for Truth, he was exposed for what he was (and still is) -- a thief of stolen valor. I can’t even comprehend how this worthless piece of human excrement can live in the same country after he was exposed for what he is... much less still hold a public office. It would be an insult to every veteran and returning soldier, sailor and Marine to allow John Commie Kerry to serve as our next Secretary of State. Not that it’ll do any good, but 25,000 signatures need to reach the White House before 27 January 2013 to call the dogs off. The White House will then HAVE TO issue an official response to the petition to withdraw the maggot’s name for consideration of Secretary of State. Hell, there could be 300,000,000 names and he’ll still get it. But it makes me feel like I tried. I’ve signed it (no joke, Jack?!) and I keep going back to sign it again and again. Of course, you only get to sign it once -- DAMMIT! Given his history of viciously slandering the military and conspiring with the enemy, you’d think that to even suggest John Commie Kerry as Secretary of Defense would be the most contemptuous insult the Democrats/Socialists/Communists/Marxists/Islamic sonsofbitches have offered the Armed Forces yet. They’ll make him feel right at home.